This is the much anticipated prequel to bestseller Wool that takes us back to the beginnings of the silo. 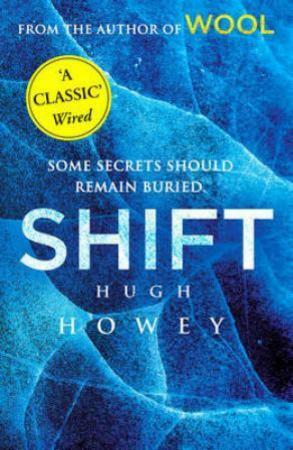 The full novel which brings together First, Second and Third Shift. "The next Hunger Games". (The Sunday Times). "An epic feat of imagination. You will live in this world". (Justin Cronin). In a future less than fifty years away, the world is still as we know it. Time continues to tick by. The truth is that it is ticking away. A powerful few know what lies ahead. They are preparing for it. They are trying to protect us. They are setting us on a path from which we can never return. A path that will lead to destruction; a path that will take us below ground. The history of the silo is about to be written. Our future is about to begin. Denne andre boken i serien er enda bedre skrevet enn den første. Den knytter sammen tråder som man snubler over underveis i den første boken. Vi får svar på en del spørsmål samtidig som interessen for å lese videre er til stede. Gleder meg til å lese den siste boken i serien.